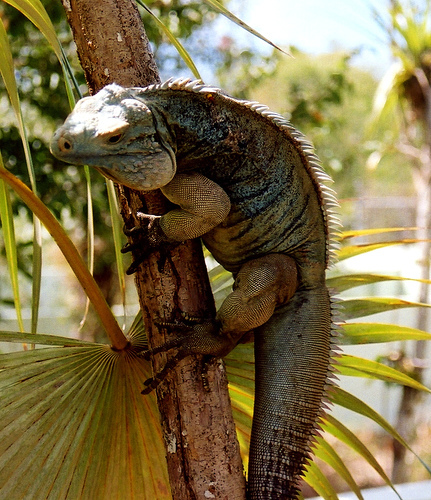 The Blue Iguana prefers to live in an area of dry forests that are open, rocky, and have plenty of sun. Otherwise, they prefer living near to the sea shore because female Blue Iguana’s dig holes into the sand to lay eggs during June and July. A second clutch of eggs is laid in September. Their diet is purely vegetarian. Blue Iguana’s eat fruits, flowers, and plants. Scientists have found fossil records which indicate that the Blue Iguana was heavily abundant before Europeans colonized the area. Sadly, less than 15 animals remain in the wild in 2003 and it is predicted this wild population will become extinct within the 21st century. This species have been driving to extinction by several reasons. These include predation by feral cats and dogs, and indirectly by the destruction of their natural habitat to create fruit farms or pasture for cattle to graze on. Since 2004, there have been 219 captive-bred animals released onto a wildlife preserve to attempt to save the Blue Iguana and other wild species on the Grand Cayman Island. It is the largest native land animal in the Grand Caymans. It has a total length from nose to tail of 1.5 meters (5 ft), but males are a third larger than the females. It weighs as much as 30 lb (14 kg). Females are olive green to pale blue. Males are dark gray in color with a slightly bluish hue. A turquoise bluish cast is more visible during the breeding season in the male Blue Iguanas. 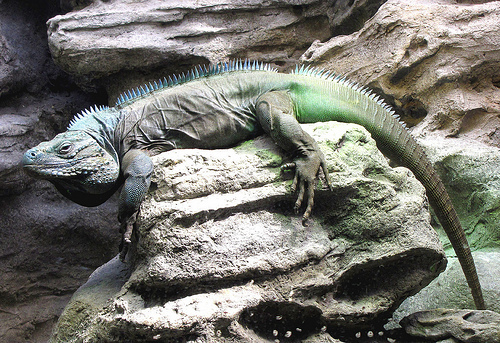 They turn blue in the presence of other iguanas to signal and establish their territory. Blue Iguana’s also have a large and heavy body, with a dorsal crest of 8 short spines running from its neck to the end of its tail. 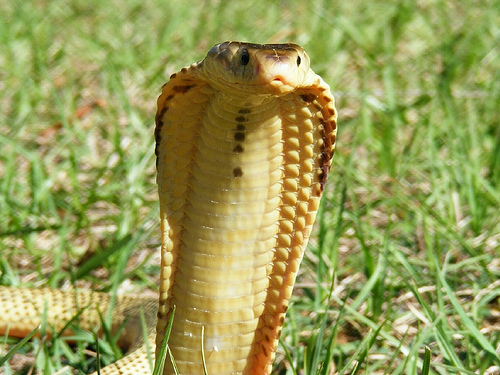 Its toes are rather articulated and efficient for both climbing trees and digging holes. 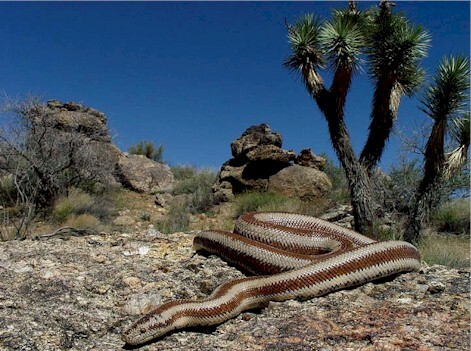 They have been observed climbing trees that are 15 feet (4.6 m) and taller. They have a golden iris and a red sclera. Blue Iguana’s have excellent vision which allows them to detect motion and shapes at long distances. They also have evolved a white photosensory organ at the top of their heads which is called a parietal eye. This is also called a pineal gland, pineal eye, or a third eye. Although this eye does not work like a normal eye because it has a simple retina and lens, and cannot form images. However, it is sensitive to changes in light and dark, and can detect movement.